Hi!!! I’m so happy you’re here! If you’re new to my blog, be sure to check out more about me and all of my free resources! 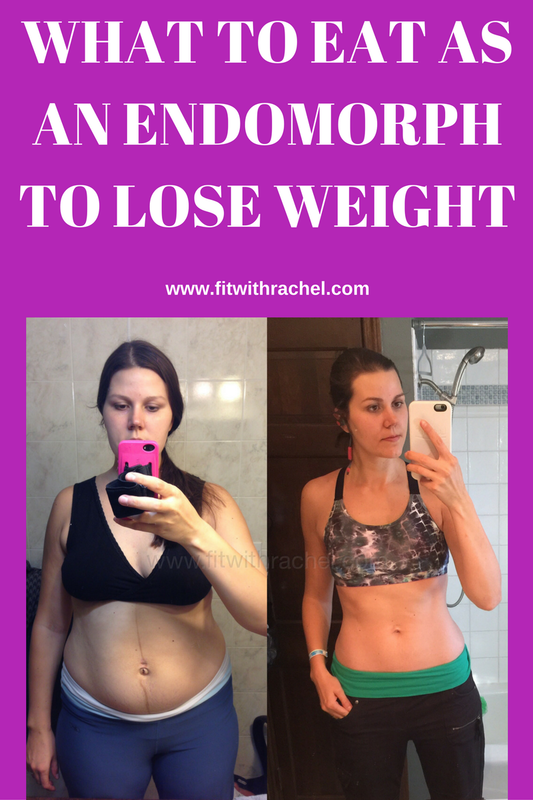 If you have NO clue what an endomorph is, or if you’re not sure if you’re an endomorph, be sure to read this post and watch my video explanation about the different somatotypes! If you ARE an endomorph, welcome lol! 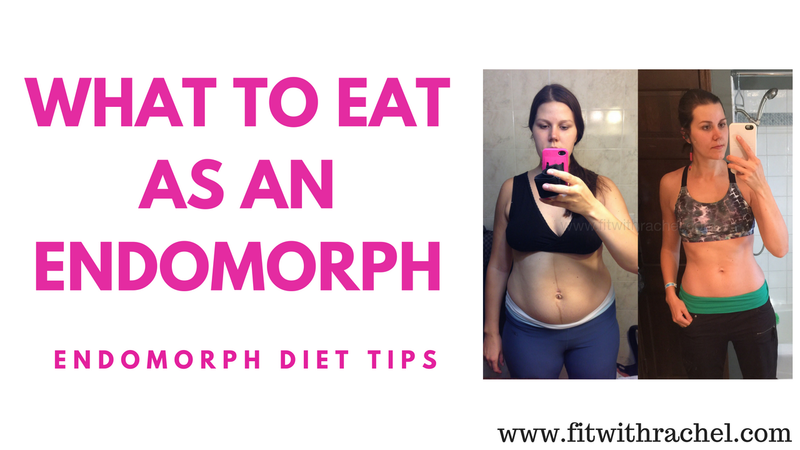 Losing fat as an endomorph can be trickier than the other somatotypes–but NOT impossible! I lost 80 pounds after having my son doing home workouts (I can help you too), and focusing on my diet. 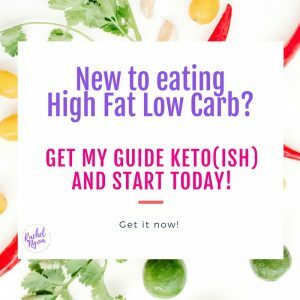 Since diet is KEY to losing weight, ESPECIALLY as an endomorph, I wanted to share some of the things that I eat each day. You’ll notice that there’s a lot of protein here lol! Endomorphs really do need to watch their carbs and focus on consuming protein at each meal. 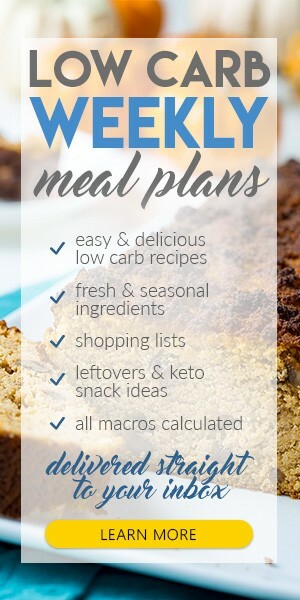 I track my macros and calories on myfitnesspal.com (you can add me at rachelngom). 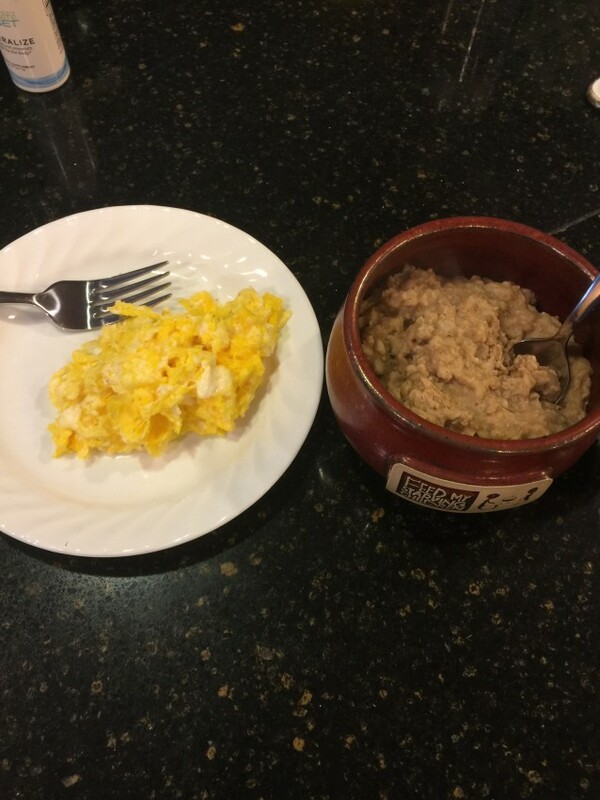 Almost every single morning I’ll have 2 eggs, 1/2 cup oats mixed with a scoop of protein powder and cinnamon. For dinner, I always have some form of lean protein and veggies. Here I had 6 oz sirloin and broccoli. 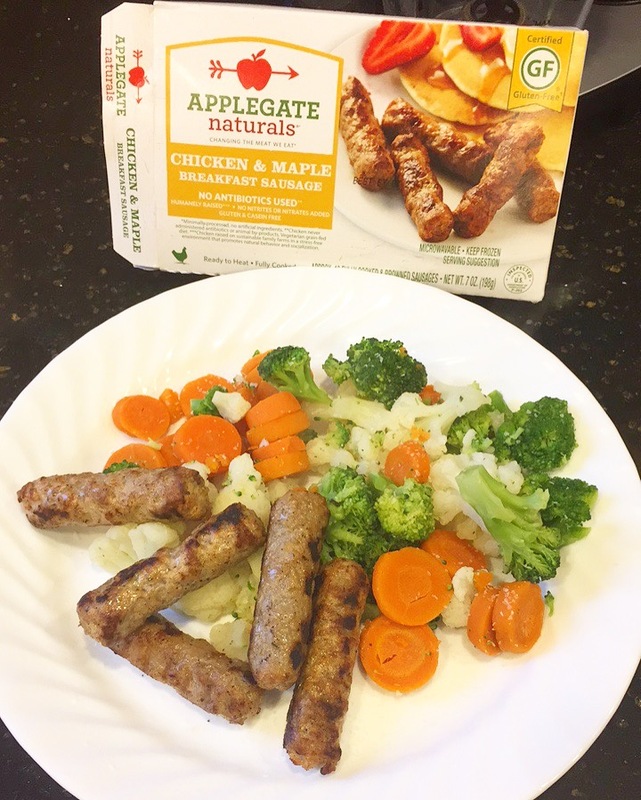 This was lunch, and I had these chicken sausages with steamed veggies. 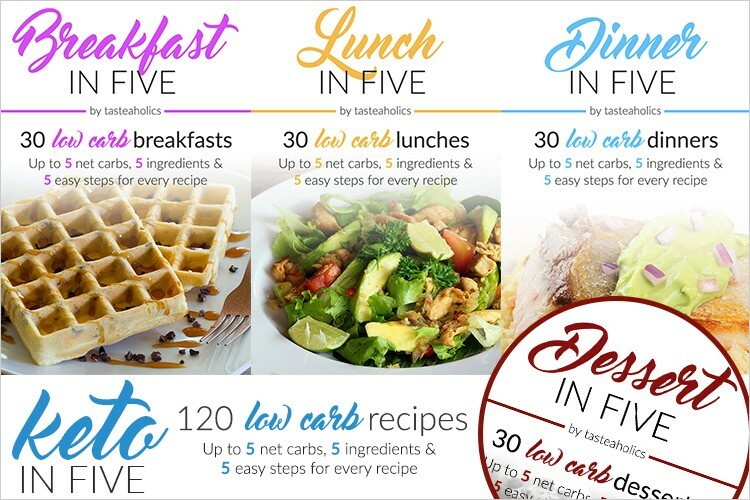 NOTE that I eat several times a day–so each meals calorie content might be low–I typically eat 5 meals a day. 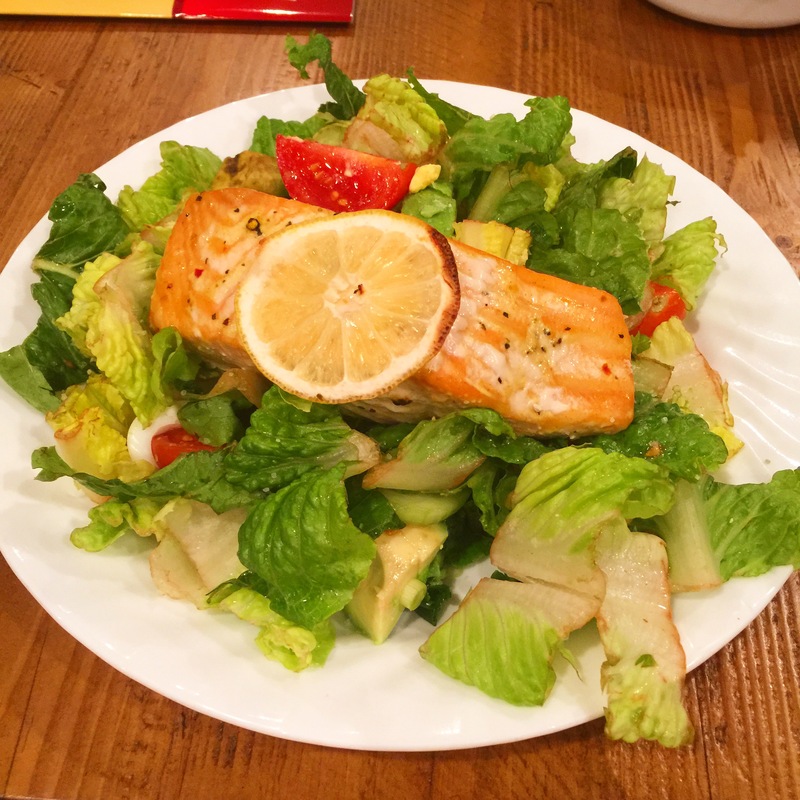 Salmon salad! I LOVE salmon and I ate a ton of it while in Chicago. It’s my go-to when I eat out! I don’t buy it that often (or most seafood) when we are in France because it is expensive, so I typically have other forms of lean protein, like chicken or turkey burgers. 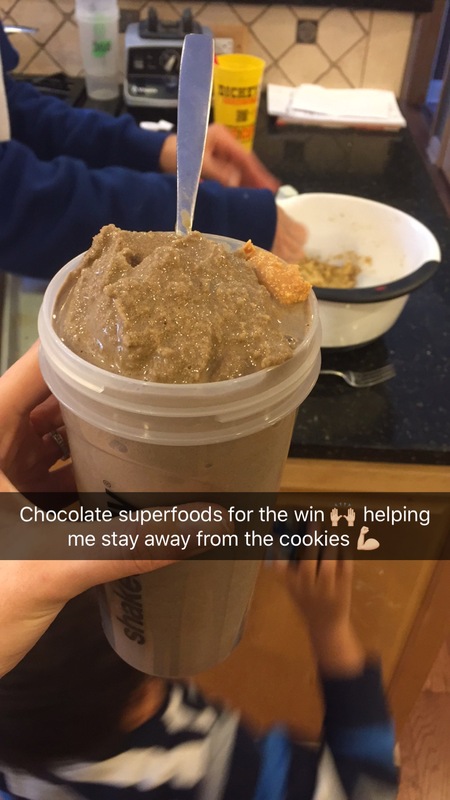 EVERY single day (for the past 5 years) I have Shakeology. I have a MASSIVE sweet tooth–so this saves me lol! It also helps me lose weight, keeps me healthy, and helps me keep my energy up! 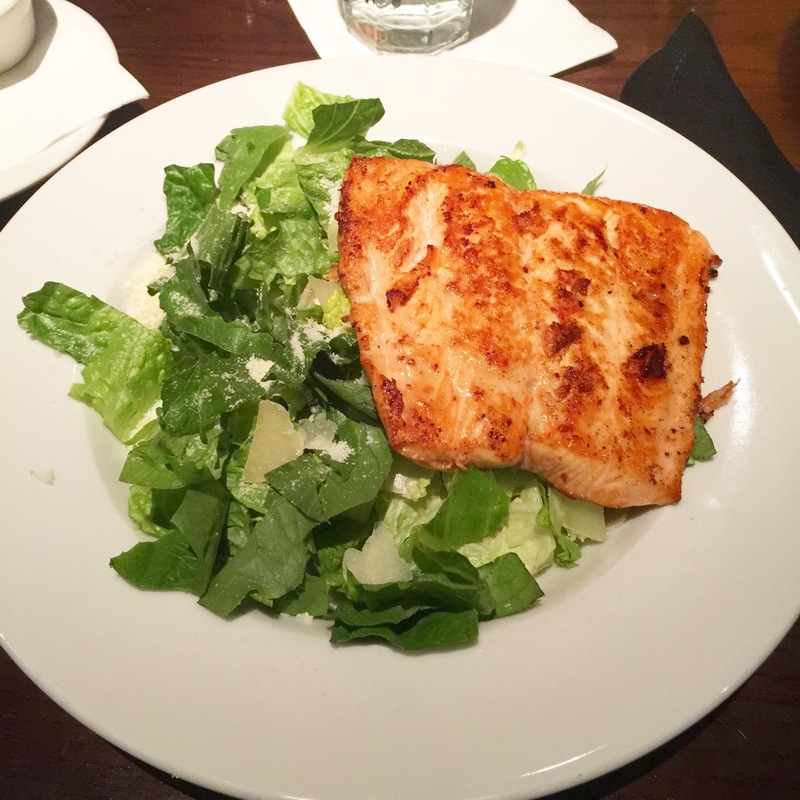 We went out to a restaurant in Chicago and I ordered a salmon caesar salad–no croutons, dressing on the side! 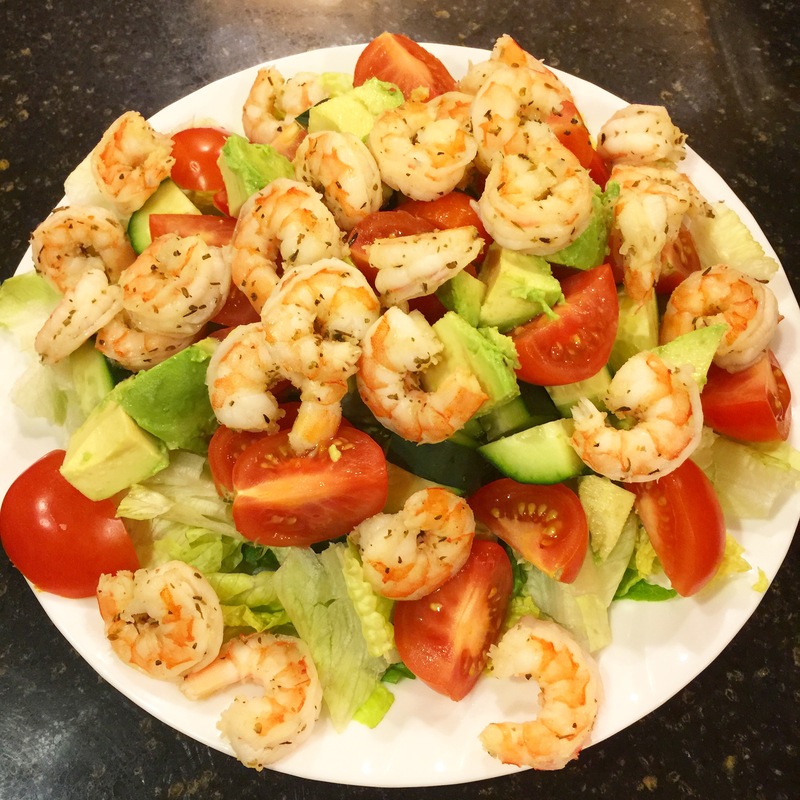 I made this one =) I just sauteed some shrimp and put it on top of a salad with tomatoes, cucumbers, and avocado! 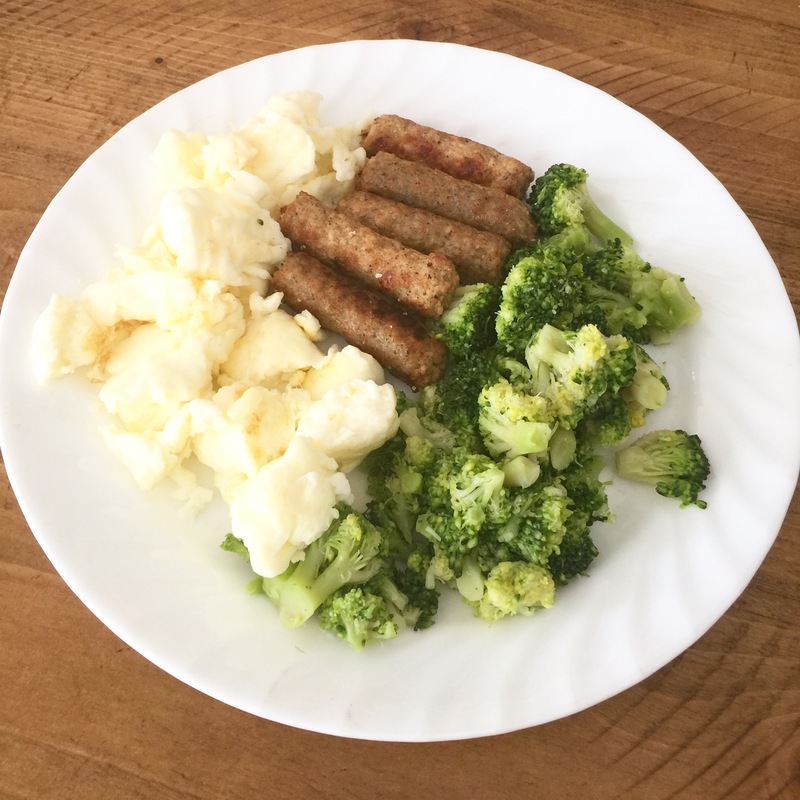 This was lunch one day–1 cup egg whites, chicken sausage, and broccoli! 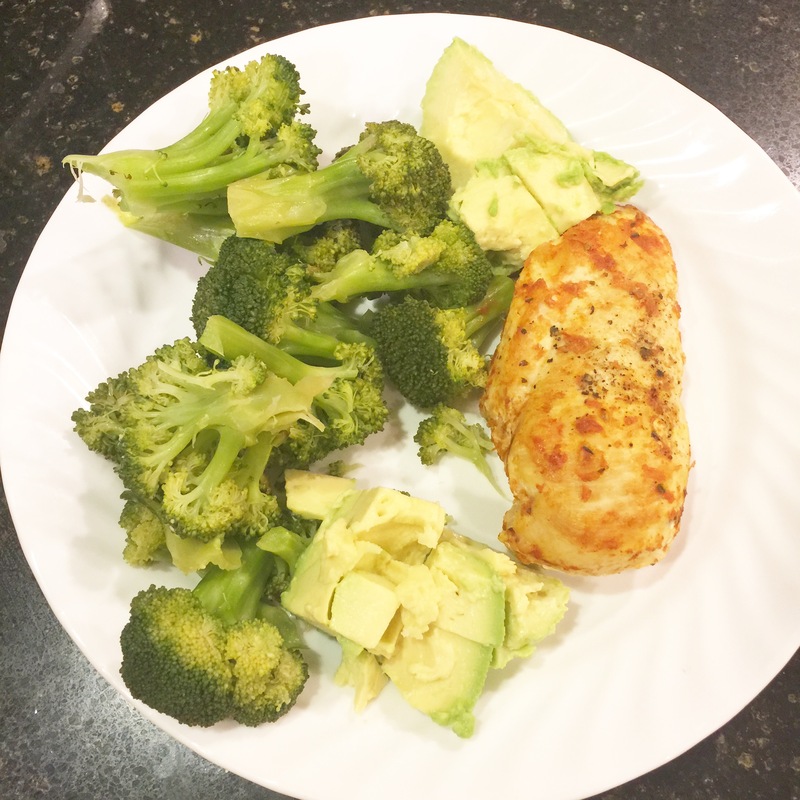 One of my dinners–5 oz chicken, 1/2 an avocado and broccoli! I consider this a cheat/treat meal. 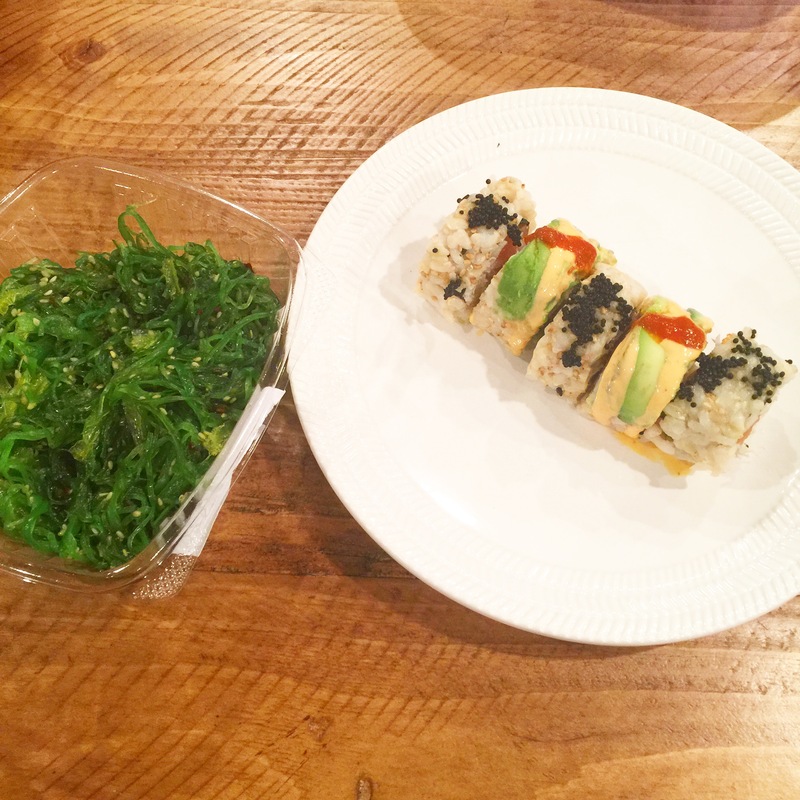 I got brown rice sushi at Mariano’s, and had it with seaweed salad and miso soup! Ever been to Season’s 52? One of my favorite places! 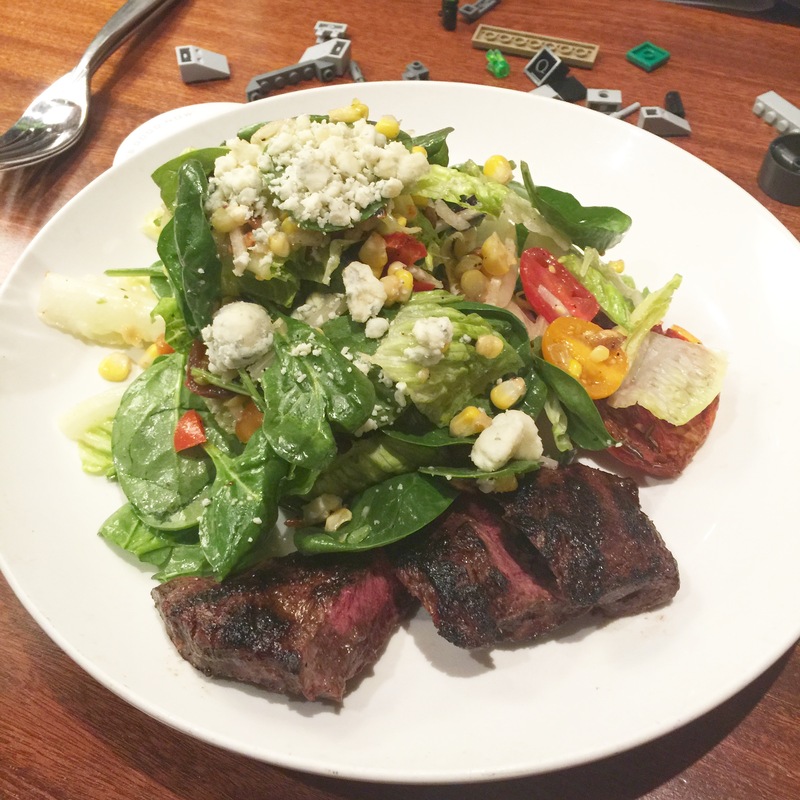 I got their steak salad for lunch. SO GOOD. If I’m out and about, or if I want something sweet for a snack, I LOVE Quest Bars!!!!! They are NOT health food lol–they are processed–but they are one of the cleaner protein bars out there, the macros on them are great (they are high protein, low carb), and they taste DELICIOUS. My fave flavors are chocolate chunk, cookie dough, and cookies and cream! 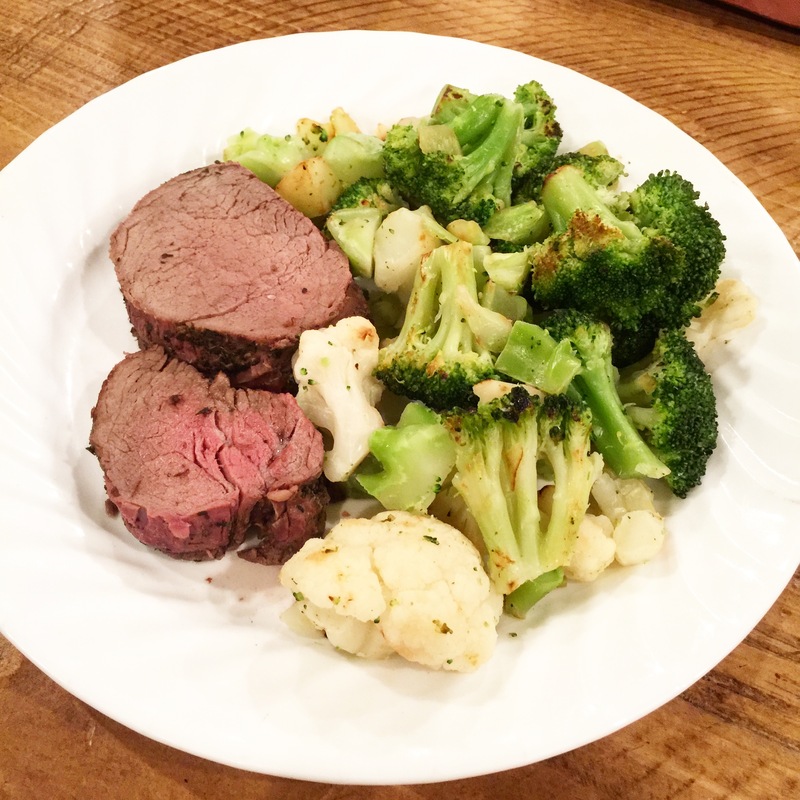 My rule of thumb is to always include at least 20-30 grams of protein at each meal with some kind of veggie! When I increased my protein and decreased my carbs, I really started to lean out and see results! 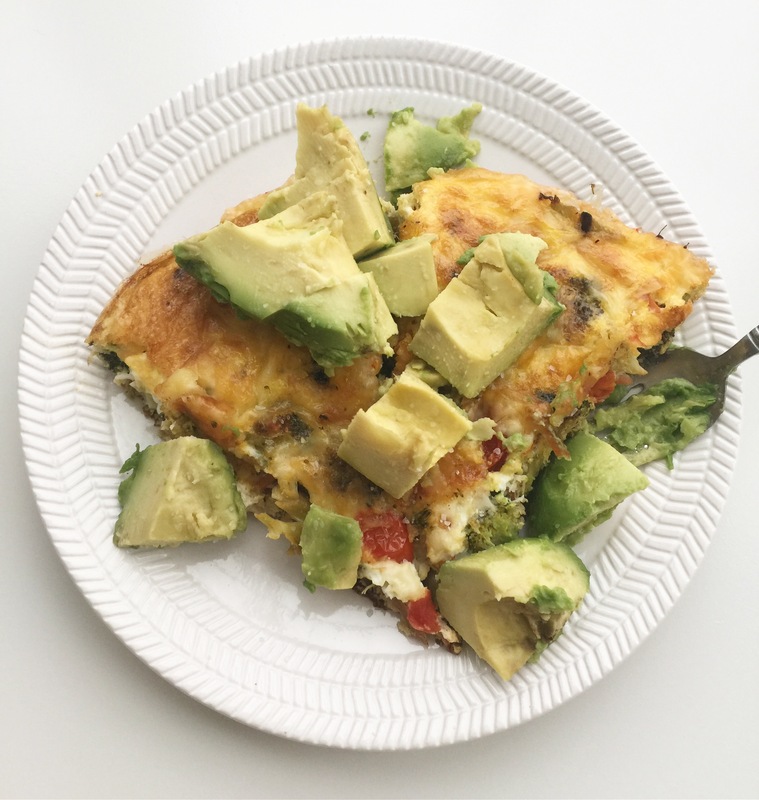 Nutrition is EVERYTHING–especially as an endomorph–so be sure to fuel your body right! PS. Be sure to join my free healthy online community! Join here. Love this write up on body type and then info on what to eat and then samples of ideas to eat! Just want I need! I also love seeing your exercise vids on instagram! Shows you can move your body anywhere and stay healthy! Thank you again for all your motivational quotes, encouragement and tips! Appreciate the simplicity, humor and ease of what you’re offering. As I slide into 50 it’s getting more apparent that diet rules how you look and feel. Thanks for sharing your journey. It has me motivated. I’m interested in learning what my target calorie intake is. Too many calculators out with so many variances in results. I’m 54, 5”4, 164, Body fat 30-35%, endormorph, sedentary job, exercise 3x week – elliptical and strength training. These are all the foods I like! I’m so thankful I found your page on pinterest. I have struggled for years to lose weight and even more so now that I’ve had four kids, all age five and younger. I do great on low carb/lots of cardio and I just recently found out I am an endomorph and it all makes sense. So now, I need to get started. I feel so exhausted and drained all the time and I don’t want to be like this anymore. Plus, I want to be around to see my kiddos grow up. After reading your blog on Pinterest I understand why my hard work in the gym and my careful food selection does not reflect my weight. Now equipped with your information I begin my journey in hopes I will finally see results and not become so defeated in my fitness journey.